Jonathan has wide experience as a commercial and public law litigator. He regularly accepts instructions in all areas of commercial law with a particular emphasis on insurance law, equity and trusts, restitution, and regulatory work. In the public law area, he has experience acting both for and against decision-makers in judicial review proceedings and regularly provides advice on matters of public and administrative law, as well as Treaty of Waitangi and Maori Law issues. He acts for both private sector and government clients. Jonathan graduated from the University of Auckland in 2006 with undergraduate degrees in Law (Hons) and Arts (economics). In 2017, he completed a Masters in Legal Studies (First Class Honours), also at the University of Auckland, specialising in corporate and commercial law. After completing his undergraduate studies, Jonathan worked for two years as a judge’s clerk at the Court of Appeal for the Honourable Ellen France. That experience has been influential on his practice at the bar. In 2009 Jonathan commenced practice as a barrister at Stout Street Chambers. Since then, he has appeared in all of the higher New Zealand courts, including the Supreme Court (as junior counsel) and the Court of Appeal (as both junior and lead counsel). He has also been appointed as amicus curiae (counsel assisting the court) in a number of proceedings in both the Court of Appeal and High Court. 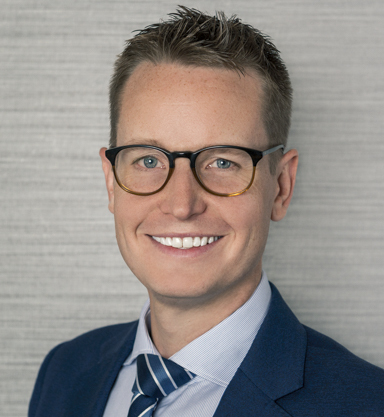 Jonathan is currently a member of the New Zealand Law Society Law Reform Committee and the external subcommitee of the Legislation Design and Advisory Committee. Anderson v R  NZCA 518,  2 NZLR 321: Counsel assisting the Court in an appeal concerning whether the Court of Appeal had jurisdiction to hear an appeal. The proposed appeal was against a decision of the High Court dimissing an appeal against the refusal to allow a criminal defendant leave (out of time) to elect trial by jury. Lyttelton v R  NZCA 279,  2 NZLR 21: Counsel assisting the Court in an appeal against orders made in advance of a criminal retrial by the High Court requiring media entities to remove online articles published about the first trial. The main issue on appeal was whether the Court of Appeal had jurisdiction to entertain the appeal. The Court accepted my submission that the take down orders, made pursuant to the High Court’s inherent powers, were civil in nature and therefore there was jurisdiction for a civil appeal. Carter v Coroner's Court at Wellington  NZHC 1467,  2 NZLR 133: Counsel assisting the Court on an application concerning the discoverability of a legal opinion. The application raised the question whether only the Attorney-General can waive privilege held by the Crown. Erwood v Ministry of Social Development  NZCA 619: Sole counsel assisting the Court of Appeal in an appeal concerning an application for name suppression by a person found mentally unfit to stand trial for benefit fraud. R v Henderson ( NZCA 598,  NZAR 251 and District Court, 2014): Lead counsel on appeal and junior counsel at trial for the accused in a successful defence of a charge under the Maritime Transport Act 1994 of causing unnecessary risk or danger following a berthing incident involving a passenger ferry. Svitzer Salvage BV v Z Energy Ltd  NZHC 3541,  1 Lloyd’s Law Reports Plus 19: Junior counsel for Svitzer (the salvors of the Rena) in a successful opposition to an application by the defendants to strike out causes of action: (i) to annul or modify the terms of a charterparty under the International Convention on Salvage; and (ii) to set aside an inequitable agreement in the Court’s admiralty jurisdiction. This appears to be the first proceeding in which a claim to set aside a charterparty under the International Convention on Salvage was litigated in a domestic court. A v Fairfax New Zealand Ltd (High Court, 2011): Counsel for “A” in a successful ex-parte application for an interim injunction restraining the media and bloggers from revealing the identity of “A” who had made allegations of sexual offending against a former Member of Parliament. Ririnui v Landcorp Farming Limited  NZSC 62: Junior counsel for Ngāti Whakahemo in successful judicial review proceedings challenging the decision by Landcorp to sell land subject to a Treaty of Waitangi claim to third party. National Urban Maori Authority v Te Ohu Kai Moana Trustee Limited  NZHC 1600: Junior counsel for the National Urban Maori Authority in successful judicial review proceedings challenging the basis on which directors of Te Putea Whakatupu Trustee Ltd (a corporate trustee set up to manage assets distributed under the Treaty of Waitangi Fisheries Settlement) were appointed. Ellipse Institute Ltd v New Zealand Qualifications Authority  NZHC 2083,  NZAR 871: Junior counsel for NZQA successfully defending an application for judicial review of NZQA’s decision to deregister the plaintiff under the Education Act 1989. Community Bereavement Trust v New Zealand Qualifications Authority (High Court, 2011): Junior counsel for NZQA in a successful application by NZQA for summary judgment on the plaintiff’s claim for damages for breach of statutory duty. Marlborough Lines Ltd v Takeoers Panel (High Court, 2010): Junior counsel for the plaintiff in a successful application for judicial review of certain decisions of the Takeovers Panel following an unsuccessful takeover offer. Saxmere Co Ltd v Wool Board Disestablishment Co Ltd (No 2)  NZSC 122,  1 NZLR 76: Junior counsel for the respondent in a hearing where the appellant challenge a decision of the Court of Appeal on the basis of apparent bias. URS New Zealand Ltd v Auckland Regional Council  NZHC 723: Junior counsel for Auckland Regional Council in an appeal against convictions under the Resource Management Act for discharging petrol into the environment. Commerce Commission v Progressive Enterprises  NZCA 374, (2010) 12 TCLR 736: Junior counsel for the Commerce Commission in a Fair Trading Act appeal concerning the elements of the offence of offering gifts and prizes with the intention of not providing them.